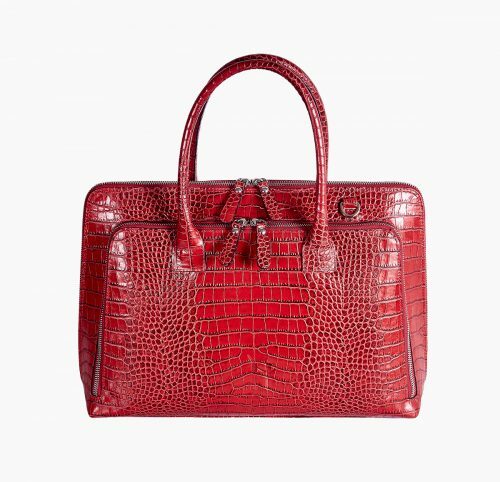 A combination of prestigious materials and natural details create a selection of sophisticated and contemporary handbags. 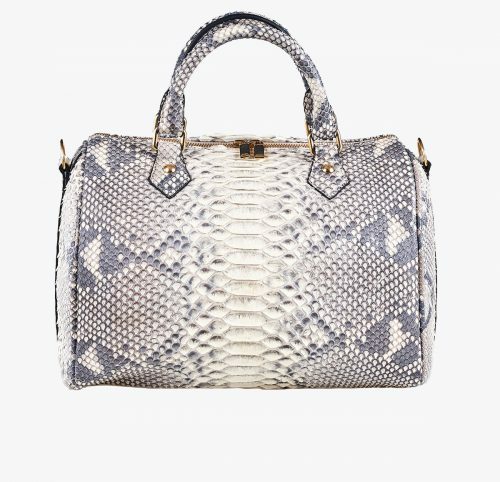 Exclusive handbag made of real natural coloured Python leather. 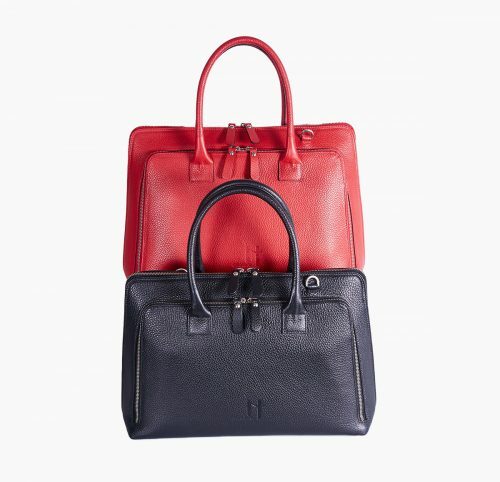 The double handle central closure with golden coloured zip allows you to comfortably access its spacious interior, which is lined with a soft and elegant fabric. It can be carried like a handback using the handles and in addition this model has an adjustable shoulder strap.. Personality and glamour merge in this bag, designed for harmony. 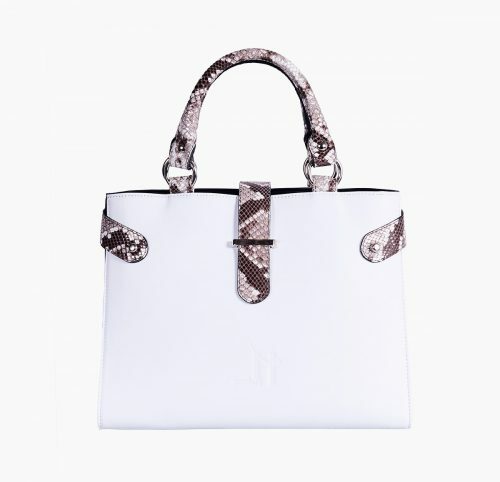 Elegant bag with upper handle, made of white bovine leather combined with printed snake design. Double closure with inside zip. 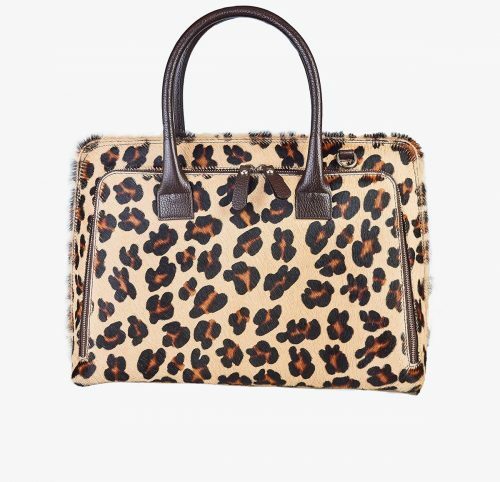 The bag has a central compartment with zip, inside pockets and a removeable and adjustable shoulder strap. Practical, modern and ideal for unrestricted movement. Shoulder bag (big) made from deer leather with interior compartments and small pockets for credit cards. Classic design with adjustable strap. Closes with practical flap. Ideal for men on the go. Functional and spacious backpack, made of first-class bovine leather, resistant and durable. 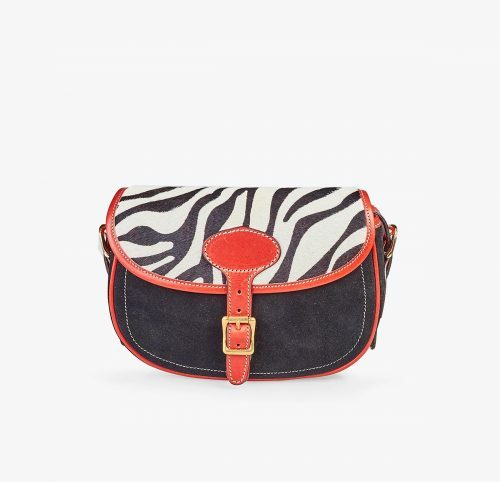 With large inside pocket and front pocket with leather covered clasps. 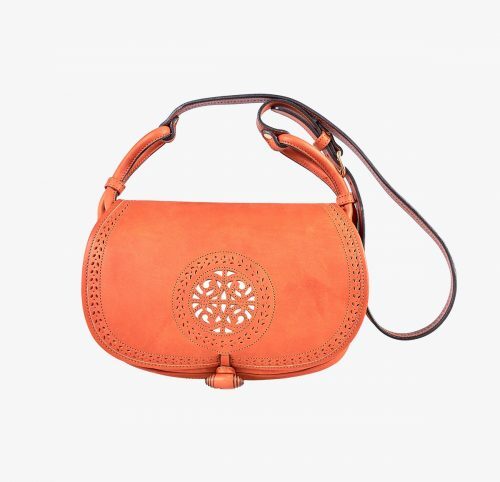 The straps are adjustable, and a leather cord decorated with tassel allows you to fix them adjusting the upper part. Its design reflects the latest fashion trends and represents a true work of art, which is apparent in all its details. 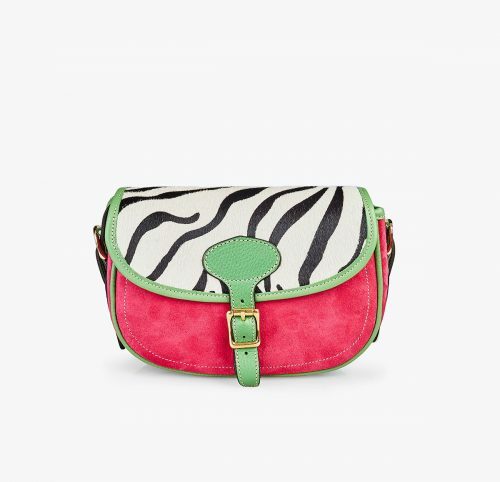 Stylish shoulder bag, made of soft green suede in combination with authentic cherry colour calf leather. The main flap features quality craftwork, with backstitching and perforations, offering a timeless beautiful design and hiding a useful front pocket. Completely lined with resistant thin green canvas, the inside has a flat pocket at the back. The strap length can be regulated with a buckle. This bag is inspired by the representative Andalusian design typical in Spain. An artisan, quality and timeless collection . Shoulder bag made of top-quality natural vegetable tanned bovine leather. The flap features craftwork with backstitching and perforations, emphasising the white colour of the details and hiding a useful front pocket. Completely lined with thin green canvas. The inside has a flat pocket at the back. The strap length can be regulated with a buckle. 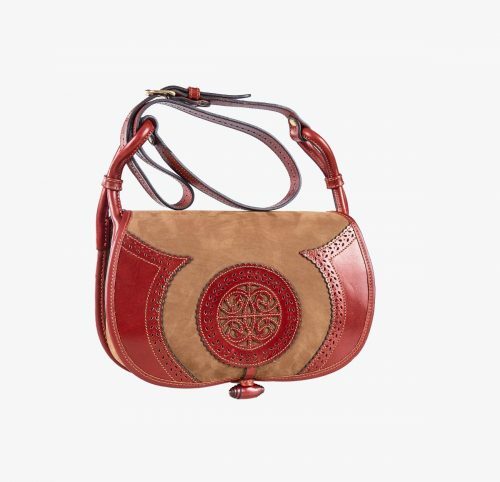 This bag is inspired by the representative Andalusian design typical in Spain . 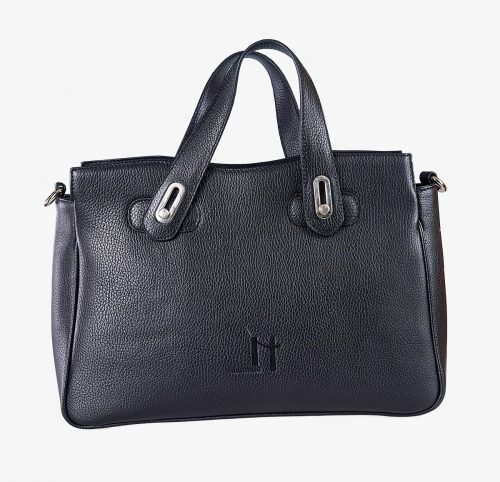 Distinguished bag and handbag made of soft black deer leather. 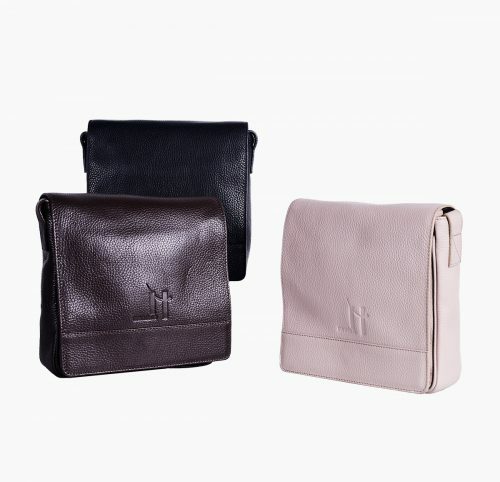 The inside is made of soft fabric and it has two pockets that provide space and comfort; the bag is completed with a pocket featuring a zip fastener. It has an additional, adjustable strap for the shoulder. An elegant design that offers the greatest functionality without forgetting style.